It’s a quote from Squire Bill Widener, although widely misattributed to Theodore Roosevelt who shared it in his autobiography. Over the past year, it has kept me moving forward. Because of my health issues, and the fact that I spend most of my life in bed now, I’ve been trying to focus on what I can do, with what I have, and with where I’m at. 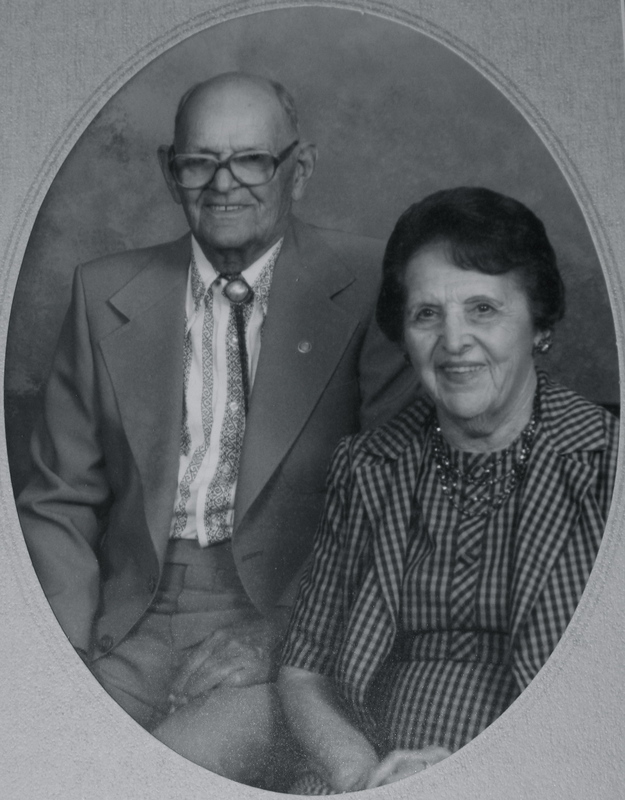 One thing I’ve recently discovered I can do is family history. I mean, I can’t go out and wander around cemeteries. But I’ve got a laptop and the internet. 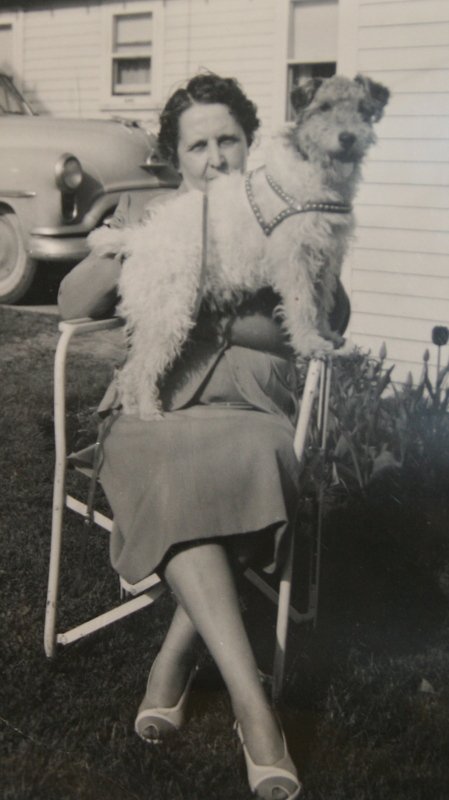 Growing up, my grandma was very into genealogy. My mom, too, and then my younger sister as well. I had no interest in it whatsoever. One day last fall, however, trying to figure out what I can do, with what I have, where I’m at, family history popped into my head. And I decided to give it a go. I’m still learning. And I don’t spend as much time with it as I’d like. But finding my ancestors and learning their stories and making connections that hadn’t yet been discovered by our family has been quite life-changing. One connection is from my Eckerson family line. America Pulliam jumped out at me because of her patriotic name. She died in 1905 in Sullivan County, MO. The work that had previously been done by my grandma had ended with her. We didn’t know who her parents were so I started digging. After several weeks of searching and working, I found them. And that opened up several lines, one going back 27 generations to Guillaume DeBray who was born in 1054 in England. The line from America to Guillaume included other ancestors such as Captain Thomas Warren, born in Kent, England, who came to Virginia in 1640 and purchased land from Thomas Rolfe, the son of John Rolfe and Pocahontas. And 1st Baron Edmund Braye, born in 1484, who was in attendance when King Henry VIII and King Francois I met following the Anglo-French Treaty of 1514. Another fascinating story for me has been from my husband’s side. The granddaughter of a Cherokee Indian and a descendant of those who came on the Mayflower, Peninah Cotton was born in 1827 in Illinois. She married Daniel Wood, and because of their Mormon faith, they were driven out of their home by a mob, leaving behind everything they couldn’t carry and journeyed westward to escape persecution. They arrived in Salt Lake in 1848 and Daniel later founded the community of Woods Cross, Utah. I’ve also found I’m related to several famous people through a fun family history website, RelativeFinder.org. I’m cousins with Walt Disney, Mark Twain, Henry David Thoreau and Orville and Wilbur Wright as well as several US Presidents including FDR, John Adams, William Howard Taft and a few more. In just the few short months since I began this new adventure, it’s also been fun to share these stories with my kids. A study conducted at Emory University and published in 2010 found the more children knew about their family history, the higher their self-esteem and the better able they were to deal with the effects of stress. “Family stories provide a sense of identity through time and help children understand who they are in the world,” the researchers said. Reading from Daniel Wood’s journal and how difficult the journey to Utah was for them helps our family have strength to get through rough times. So if I’ve piqued your interest at all in family history, you can get started at familysearch.org and/or ancestry.com. If your history includes Nodaway County, the historical society is a valuable resource and is open from 1 to 4 pm, Tuesday to Friday, or by appointment. Call 660.582.8176 for more information. There’s also a Family History Center at the LDS Church in Maryville. Call 660.541.0124 and leave a message. Several local genealogists are also willing to help including Mandi Brown who can be contacted at brownmandi0911@yahoo.com. So get out there and start digging. Explore where you came from, link your past to your present and build a bridge to your future. You won’t regret it. When Nali Tattersall arrived in Missouri in January, the 17-year-old exchange student had never participated in track and field, never attempted the high jump nor the long jump, never even seen how to do the triple jump. Now, the Nodaway-Holt junior from Darwin, Australia, will be competing at state this weekend after qualifying in all three events at sectionals. “(I) feel overwhelmed to receive all the attention,” Tattersall said. “I enjoy seeing everyone’s athletic ability and getting to meet others I compete with and build relationships with them. Tattersall’s host family, Erick and Heather Thornton and their son, Derick, have enjoyed watching him compete. Darwin is the capital of the Northern Territory of Australia and has a population of 136,000. Tattersall said while the language is the same and western culture is shared, there are several differences between his home country and the US. “We drive on different sides of the road and (there are) changes in climate. Here it gets really cold and I’m used to it being hot year round,” he said. The food is also different. “Americans have so many choices,” he said. “There are so many different kinds of snacks and restaurants in the states. In Australia, we don’t have free refills and very few candy bars. I love trying it all. Vegemite is a popular spread for sandwiches, toast and crackers in Australia. It’s dark brown, tastes salty and slightly bitter and is made from leftover brewers’ yeast extract with vegetable and spice additives. Tattersall has also found that school is somewhat different. “There are no sports in schools in Australia and here there is something to do all year,” he said. The students at Nodaway-Holt, however, are mostly the same as those in Australia. “(They) like similar things such as hanging out on the weekends, playing video games and they like to fish and hunt,” Tattersall said. Sarcasm has been a bit of a challenge for him, he said, understanding when it’s being used and what is meant by it. But he is really enjoying his time at Nodaway-Holt especially participating in athletics and making new friends. That includes his host family. “I have been placed with an awesome host family who are very supportive and keep my family in Australia involved with pictures and videos on Facebook,” he said. Heather said they are grateful for the opportunity to have him in their home. “He is a great kid, very funny and easy going, polite and enjoys interacting with others,” she said. “He has taught us many things about his culture and answers your questions, even if it’s the 500th time he had answered it. Watching him experience new things is a joy. 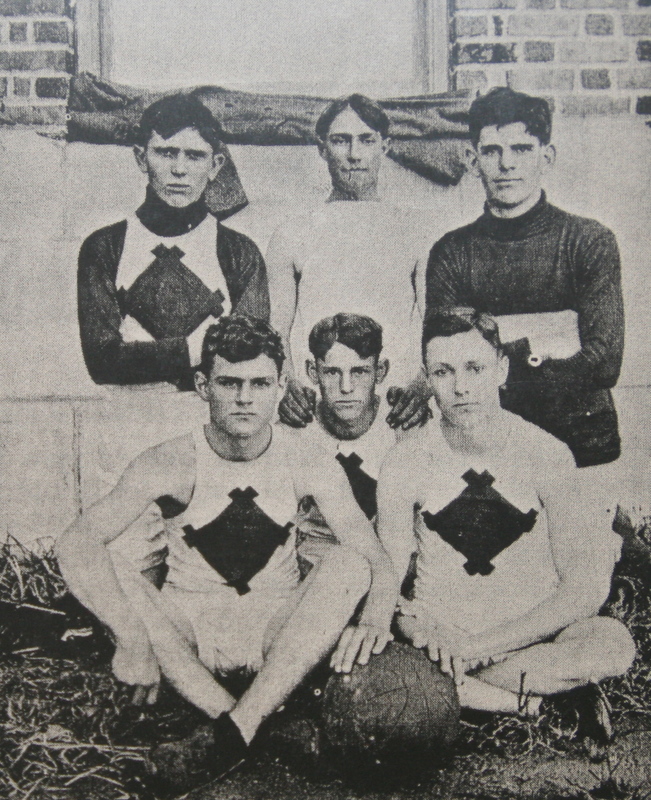 While there were no athletics offered at school in Australia, Tattersall did play basketball in what would be equivalent to a YMCA or community center league. 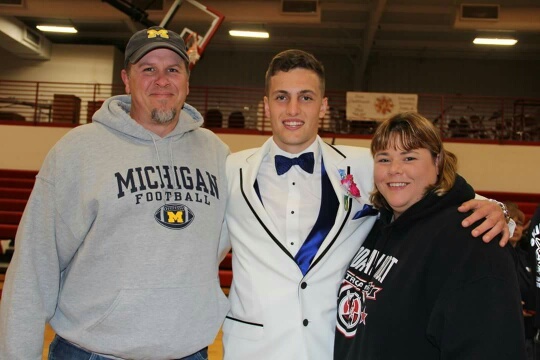 In addition to track and field, he participated in part of the basketball season at Nodaway-Holt after he arrived, and because he will be here until November, he plans to also play football in the fall. Before Tattersall arrived in Missouri, a few students had shown Coach Josh Petersen video clips of him dunking a basketball from right inside the free throw line. So when track season rolled around, Petersen said he couldn’t wait to see how well he could or would do in the jumping events. Not only did he like it, he excelled at it. 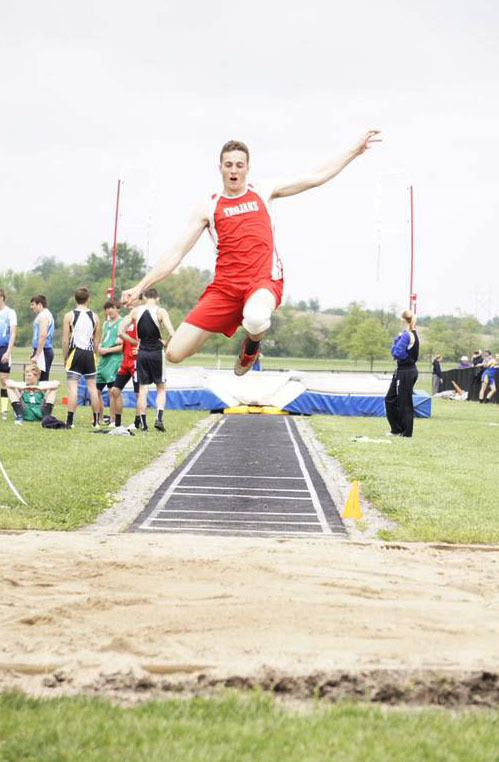 The day after learning how to triple jump, Tattersall participated in his first meet and jumped around 38 feet. Now, he’s jumping nearly 43 feet. His long jump started at around 18 feet and now he’s jumping 20’2”. 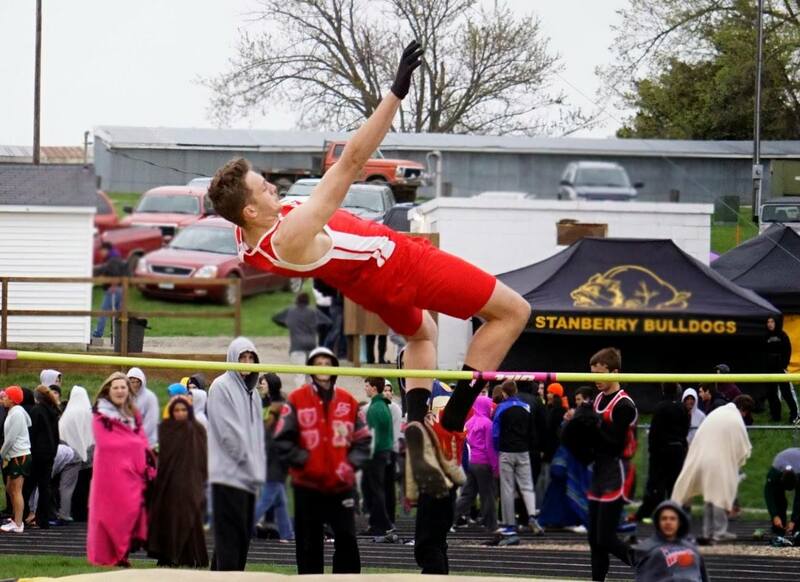 In high jump, Petersen said he was stuck on 6’2” for awhile but he eventually got 6’4” at the Mound City meet which is his best and a Nodaway-Holt school record. 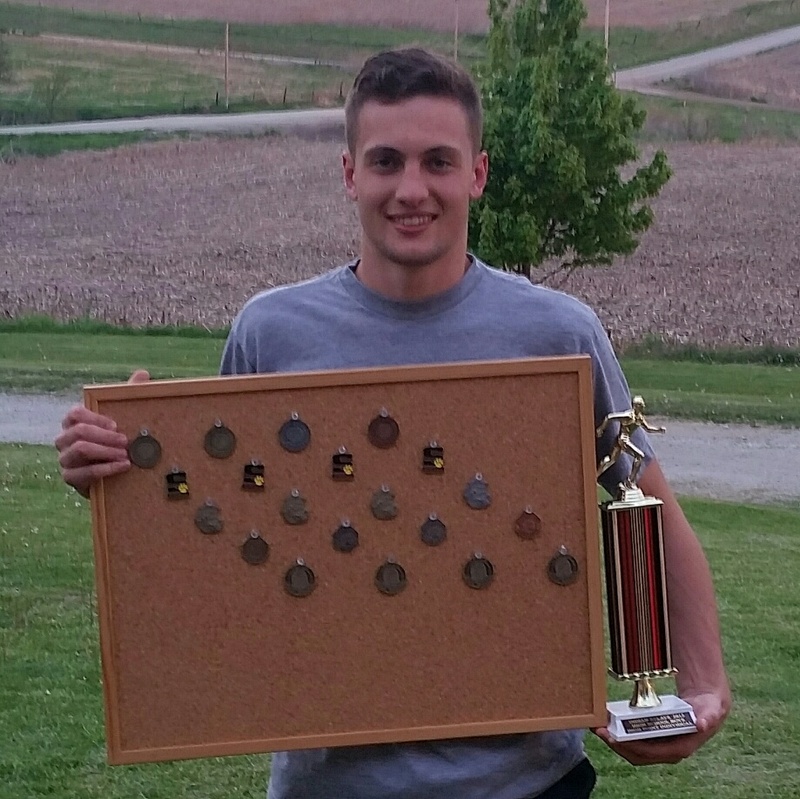 He was also a part of the 4×200-meter relay team, which Petersen said fared pretty well in every meet. “Nali has been a very big part in the success of our track team this year,” Petersen said. “We only had six guys out and he was usually first or second in every event he was in. 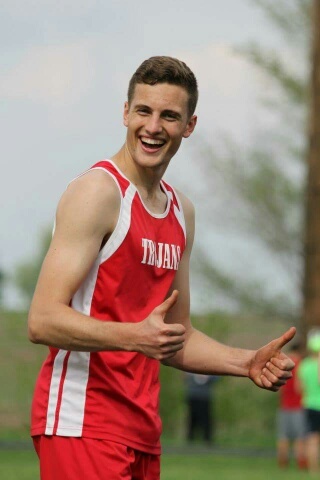 He has been our high point guy in every track meet, usually scoring 26 to 30 points by himself. With his unexpected success, Tattersall is now considering the sport as a potential part of his future. So after he finishes high school, he said he will consider returning to the US to further his education and participate in track while doing so. 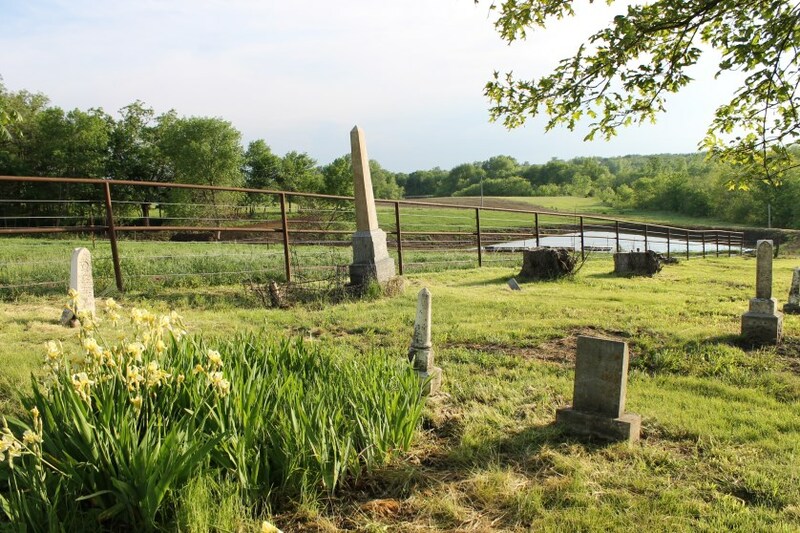 Located near Honey Creek and the Platte River in eastern Nodaway County, the tiny sawmill town of Wilcox is long gone and mostly forgotten. But Aaron and Rosey Runde are doing their part to change that. Prior to purchasing their farm near Honey Creek in the rural Parnell and Ravenwood area, the Rundes were out looking at the farm when they walked right past it without even noticing. It wasn’t until Aaron walked by it a second time that he realized he was walking past a cemetery. 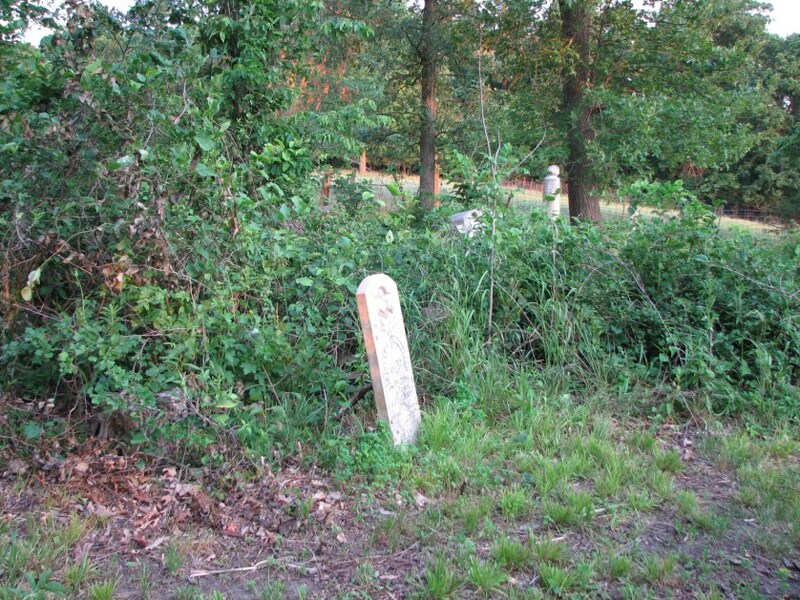 Located in the southwest corner of their farm, it is the Wilcox Cemetery and the oldest gravestone dates back to 1872. He soon realized it was more than that. When he started to uncover the cemetery, only two or three of the stones were actually still standing. 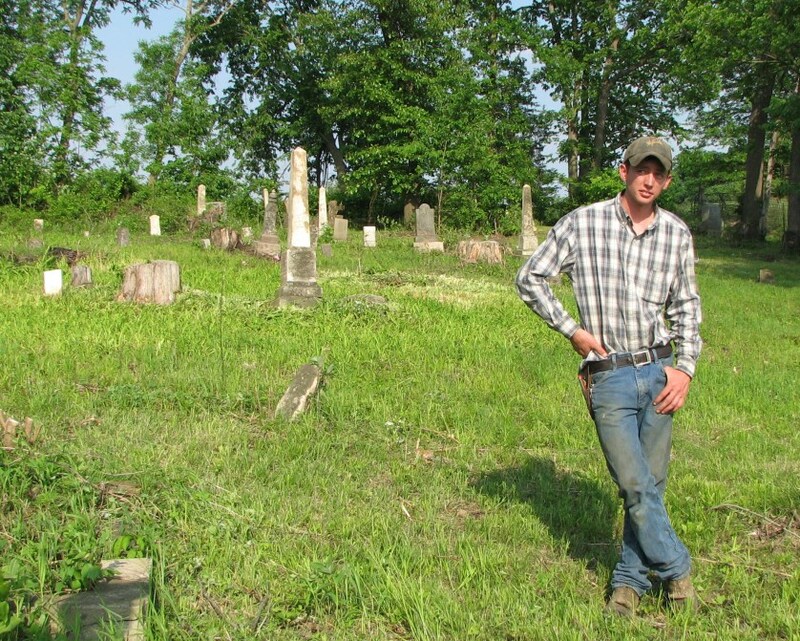 He said he’s spent well over a year’s worth of Sundays clearing and cleaning up the cemetery so far with the help of his wife and friends Josh Schmitz, Cody Schmitz, Caleb Spire and Kim Savano. 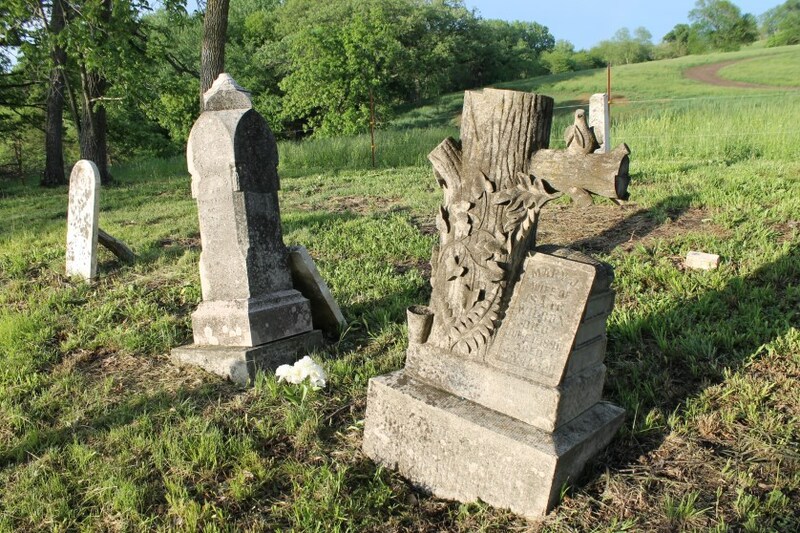 Runde said the work he’s done to restore the cemetery was mostly done out of respect for the people buried there but also from a feeling of obligation since it rests on their property. 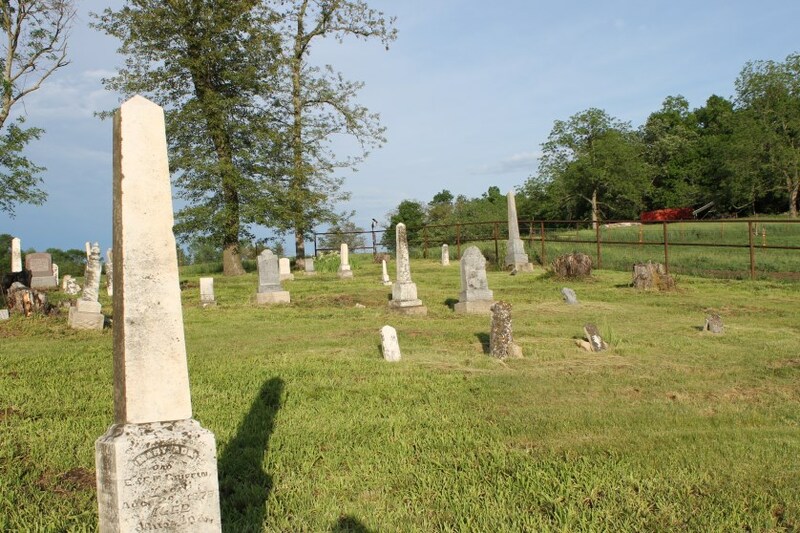 In addition to clearing and cleaning up the area, he has replaced the fence on three sides of the cemetery, added a new entrance gate on the west side and recently built a new pipe fence along the south edge. 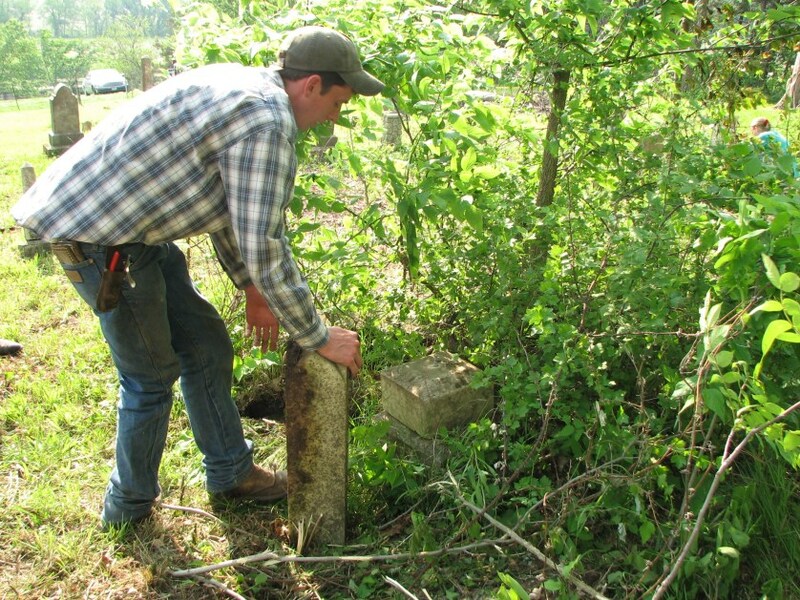 Several folks have stopped by the “newly found” cemetery to thank Runde for his efforts to uncover their ancestors’ grave markers. Runde said he has no way of knowing how many graves could still be missing so he’d like to have a map of the cemetery to see how many were there at one time. Also, if anyone knows of a good, inexpensive way to mend broken gravestones, please let him know. He can be reached at 660.937.2060.